North Americans need not spend hundreds of dollars to cross the Atlantic Ocean for a European getaway. With its historic architecture, booming gastronomy, and cutting edge cultural scene, Mexico City now offers the same charm as any big city in Europe. Mexico City is a destination greatly undermined by its public perception. There is no more visible crime here than in other metropolises around the world. Pollution is minimal, and traffic a lot better than what you would find in São Paulo or Mumbai. If you take proper precautions, you will hardly feel the change in elevation. Most people working in the hospitality industry are fluent in English. The weather is temperate year round – it’s nice and cool even through the summer. Moreover, there is a lot to do beyond drinking tequila, listening to mariachi bands, and attending business meetings! Recently, the Mexico Tourism Board has done a great job in highlighting the city’s museums, artists, chefs, and boutiques – some of which are already on par with those in Paris. Mexico City has more museums than any other city in the world (150+ at last count). 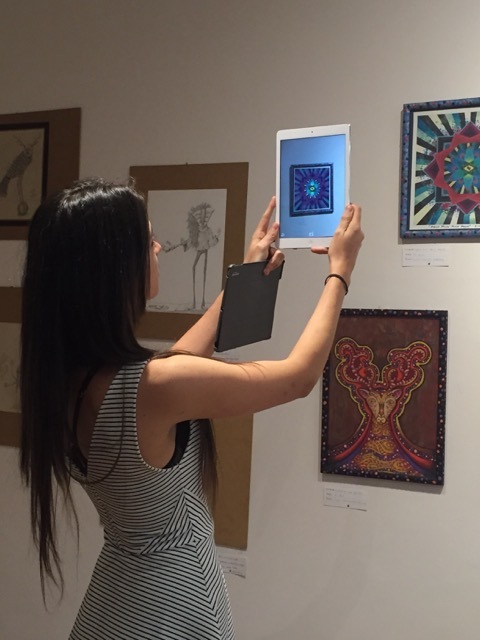 Not only can you find huge collections of pre-Columbian, colonial and contemporary art, there are artifacts displaying Mexico’s rich cultural, social, political and economic heritage. The most famous national museums are the Anthropology and History Museum, the Natural History Museum, the Modern Art Museum, the San Ildefonso Museum, and the Templo Mayor museum. 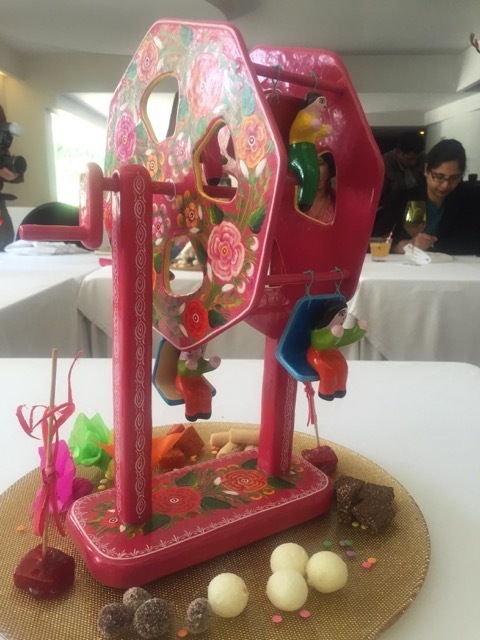 The Cartoon Museum, Shoe Museum, Pen Museum, Chile and Tequila Museum, Mexican Olympic Museum, and the wonderfully Interactive Economics Museum. Remember that museums are closed on Mondays. A visit to Mexico City would be incomplete without admiring paintings of this famous artistic couple. The largest private collection of works by Diego Rivera is housed at Museo Dolores Olmedo Patino. 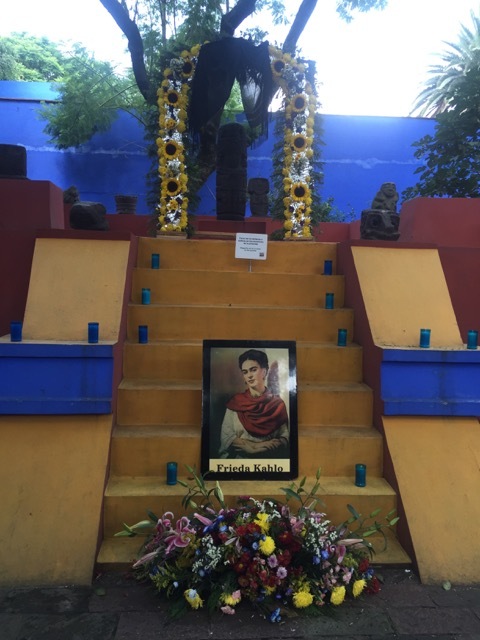 Casa Azul (Blue House) is Frido Kahlo’s private home, now museum and a shrine, where she was born in 1907 and died 47 years later. The city seems to attract artists from all over Latin America who want to learn and practice independent art expressions. At Galería At Despacho 29, you can see young artists at work as they display their paintings, sculptures, graphics and more, in this thriving artist colony. Galeria Omr in Colonia Roma is a must see with its international fame. Even walking around the city, you will come across many chic art galleries and stores representing all genres. In the Colonia Roma neighborhood, you will see homes and building constructed in French, Italian and Spanish style architecture. Most of these were built in the 1800’s, when Mexican aristocrats traveled to Europe and modeled their surroundings based on what they saw there. Strolling through Colonia Roma’s Plaza Río de Janeiro Street, you will find bistros, cafes, gelaterias, bookstores, art galleries, as well as cantinas and dance clubs. Note that most art galleries are closed on Sundays. La Condesa is also a charming area that caters to the young and hip. Besides admiring the unique building styles and colors, you can also explore the nightlife here. Zocalo (main plaza) bustles with organ players, street vendors, excited tourists, wandering bicyclists and downtown office crowds, with a backdrop of the Cathedral, National Palace, Federal District buildings, Templo Mayor site, and the omnipresent Mexican flag. At 57 thousand square meters, this is one of the largest city squares in the world. 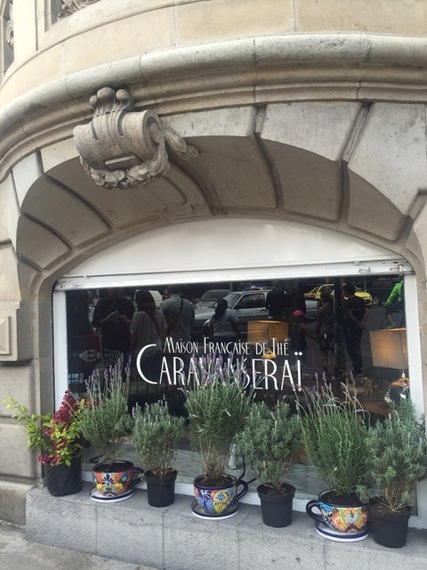 Explore side streets to see more architectural gems, such as the post office and the Opera Cantina. On weekends, the streets in Zocalo come alive with balloons, clowns, cotton candy, live music, and dancing. 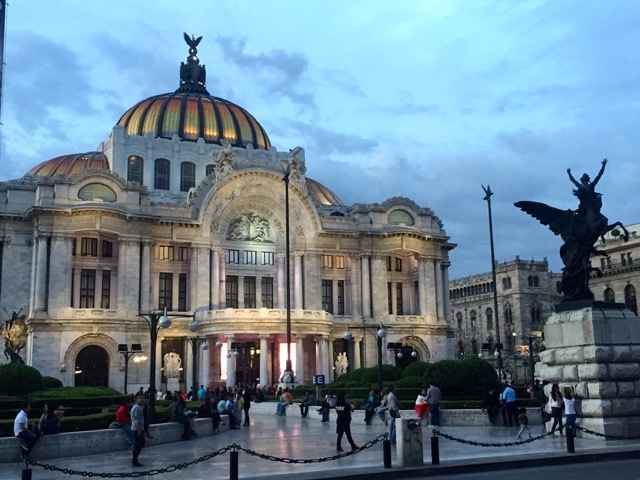 Watch Mexican folklore ballet and temporary art exhibitions at the colossal white marble opera house with a Tiffany stained-glass curtain, known as Palacio De Bellas Artes. This beautiful building was designed by the famous Italian Adamo Boari, and inaugurated in 1934. Inside, you can see paintings by several celebrated Mexican artists, including Rufino Tamayo, Rivera, Orozco, and Siqueiros. View current artistic trends across seven exhibition rooms at the Centro Cultural De Espana, along with a museum, conference center, and jazz bar designed specially for art and culture lovers. To explore more of the mariachi music scene, spend the evening at Plaza Garibaldi, where you can even rent a personal band by the hour. Dressed in embroidered “charro” outfits and large wide brim sombrero hats, these musicians play guitars, trumpets and violins, sing, dance and entertain crowds. Take a short drive to the southern outskirts of the city for an authentic Mexican fiesta on the boat experience. 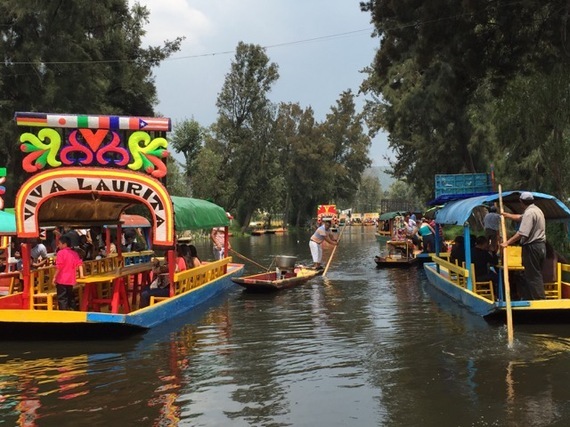 Xochimilco, a World Heritage Site is best known for its 110 miles of canals where tourists and locals come to ride on colorful gondola-like boats called “trajineras.” You can see families’ picnicking, dancing, and singing on the boats, as mariachi bands and food vendors ride along. From street food and hole-in-the-wall regional establishments, to upscale restaurants, Mexico City offers something for all distinguished taste buds. The best way to get oriented to the local cuisine is through Gastronomic Tour Sabores de México (Mexico Flavors Gastronomic Tour). A guided walking tour will take you through some of the best places to sample tacos, tamales, tequilas, beer and coffee. 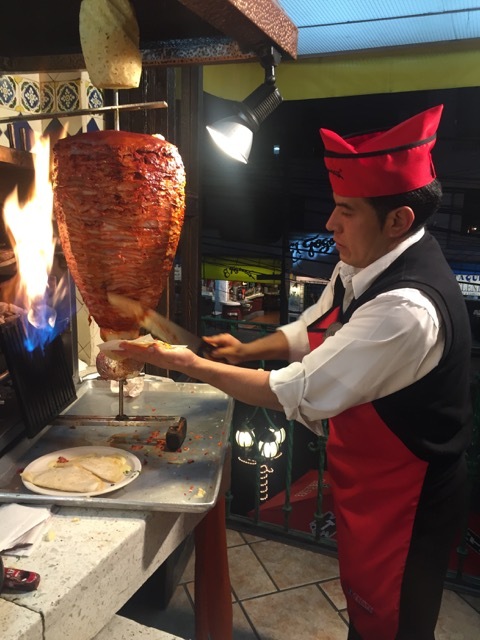 Visit the largest family run taco franchise in Mexico, El Fogoncito, where you can trace the evolution of tacos from the Middle East to Mexico City. Even high-end cuisine can be quite affordable in Mexico City. A dinner at Pujol, rated in the top 50 restaurants in the world, will set you back only $50 per person (excluding drinks). Also noted among the world’s best, five-diamond restaurant Astrid and Gaston, was one of the first to put upscale Peruvian cuisine on the map. Now they have locations in Lima, Bogota, Santiago, Madrid, and Mexico City’s Polanco Area. 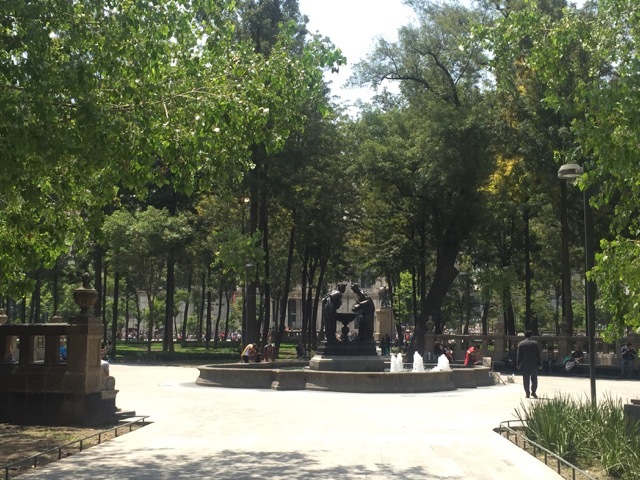 At Alameda Park in downtown Mexico City, you can envision viceroys and counts dressed in their formal attire, taking a stroll through the French designed fountains, while admiring sculptures based on Greco-Roman mythology. There is even a monument dedicated to Beethoven in commemoration of the centenary of his 9th Symphony. While no street vendors are allowed in the park, you will see couples of all ages sharing romantic moments, kissing and holding hands, not just here, but in most parks across the city. Joggers, walkers and tourists can be spotted at Bosque de Chapultepec, the city’s largest park, which also houses a castle, a lake, an amusement park, the Mexican president’s official residence, and five world-renowned museums. This is Mexico City’s equivalent of the Central Park of New York. A must see neighborhood is Coyoacán. This charming and quiet residential area was home to many famous Mexicans including Miguel de la Madrid, president of Mexico from 1982 to 1988; artists Diego Rivera, Frida Kahlo, and José Clemente Orozco; Gabriel Figueroa, cinematographer for Luis Buñuel and John Huston; film star Dolores del Río; film director El Indio Fernández; and writers Carlos Monsiváis, Jorge Ibargüengoitia, and Nobel laureate Octavio Paz. It’s also the neighborhood where the exiled Leon Trotsky met his violent death. From high-end boutiques selling limited edition Christian Louboutin and traditional Mexican apparel designs, fine art galleries, modern furniture stores, to dozens of weekend markets selling Mexican artesanías (handicrafts) such as colorful hand-painted crockery to innovative blown glass made by regional artisans in poor communities, there are all kinds of products available to shoppers. While state of the art shopping malls are scattered all through the city, Centro Santa Fe, in the western part of the city, is the largest shopping center in Latin America and boasts nearly 300 shops, with department stores, boutiques, restaurants, play areas for children, and 10 movie theaters. Mexico City is so close! Mexico City is one of the largest cities in the world, yet largely undiscovered by vacation travelers. Delta Airlines and Aero Mexico serve nonstop connections from most major cities in US to Mexico City. Depending on where you fly from, you could be in Mexico City in 1-4 hours and discover that you can enjoy a European style getaway so close to home. This entry was posted in Mexico, Travel and tagged art, Latin America, Mexico, Mexico City, museums. Bookmark the permalink. © 2019 All rights reserved. Copyright Sucheta Rawal.